I am always preaching about the importance of Travel Agents in the Destination Wedding/Honeymoon market vs. the United States based Wedding Planner – and recently had the opportunity to visit Mexico to see over 170 Destination Wedding Planners in action. But I am getting ahead of myself. 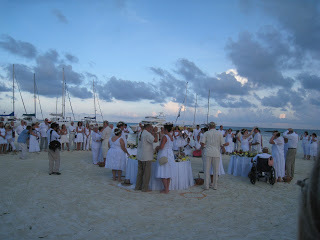 IDO DestinationWeddings.com recently had their annual symposium at the El Dorado Royale Hotel in Mexico. Approximately 300 in attendance – and the hotel/government/additional private sector made sure this was a memorable event. I was very impressed. This company – DestinationWeddings.com provides a full service ‘one stop shopping” approach to destination weddings and romance travel. And heading this dynamic company is a veteran – Edward Cotton – COO (Email:ECotton@DestinationWeddings.com). Of course with over 170 Home Based Agents in attendance, all the major wholesalers were there to sponsor events and plead their case as to why they should be the preferred vendor: GOGO Worldwide Vacations, Travel Impressions, Funjet Vacations, Classic Vacations, Pleasant Holidays, Aeromexico and the various Tourism partners. Ed is quite proud of the fact that his merry band of home based agents have planned more than 12,000 successful destination weddings and has helped plan travel for more than 250,000 attending guests.And most important – these travel specialists work with the local wedding planners to get the job done. 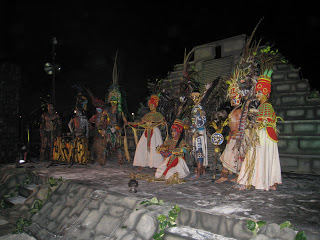 The hospitality of Karisma Hotels (El Dorado Royale, El Dorado Maroma and the Azul Beach) was above and beyond. This was hospitality at its finest. Each event outdid the other. The Mayan wedding ceremony on the beach at the El Dorado Maroma was awe inspiring and this was followed by a beach buffet extravaganza topped off with the Mayan Cultural dance. 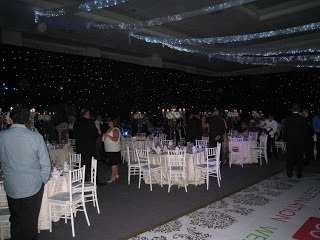 The final banquet was held at the El Dorado Royale and the ballroom was created to be a night of a million stars. I would say this was fantastic, but words cannot do this evening justice. 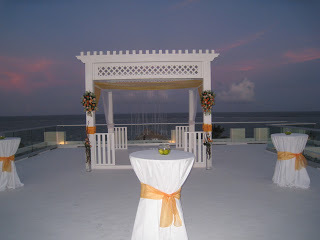 The Sky Wedding Venue party at the Azul Beach Hotel provided an overview of the property with the beach and the sunset forming the backdrop. And overseeing all this was none other than Mandy Chomat VP Sales & Marketing: Premier Worldwide Marketing, KARISMA hotels. I am again working with Fox Television (Ct/Mass.) in promoting the Dream Wedding Contest. Participation comes with a very small price tag and if you have an interest, please let me know. The British Virgin Islands was the featured honeymoon destination in last year’s Dream Wedding contest. Keeping this blog relatively short today as I need to touch bases with loved one and friends in the Virginia area with regards to the earthquake. I found your internet site from Google and also I need to state it was an excellent discover.